New Delhi: In a new sign that the global liquidity crisis could hurt India’s infrastructure sector, several companies shortlisted for the 4,000MW Tilaiya power project in Jharkhand have asked the Power Finance Corp. Ltd, or PFC, the agency overseeing the award of such projects, to defer the next round of bidding as they fear they can’t raise funds in a tightening credit market. “We are keeping a close watch on the financial situation. Let us see which way the tide flows," he said. Mint couldn’t immediately ascertain which other companies have sought a delay. The 4,000MW project may require an investment of Rs16,000-18,000 crore. Typically, power projects have a 70:30 debt to equity ratio. However, this seems to be changing with power project developers going for a higher debt component. Eleven developers had qualified for the so-called request for proposals (RFP) stage, or the second stage of bidding. Nine of them have purchased the documents for the next stage of bidding. They include NTPC Ltd, Essar Power Ltd,Reliance Power Ltd, Tata Power Co. Ltd, Larsen and Toubro Ltd (L&T), Jindal Steel and Power Ltd (JSPL), Sterlite Industries (India) Ltd, Lanco Infratech and Citra Thermal Power and Infrastructure Ltd.
Lanco has bid along with Malaysia-based Genting Sanyen Power Sdn Bhd. Questions emailed to Lanco’s spokesperson remained unanswered. 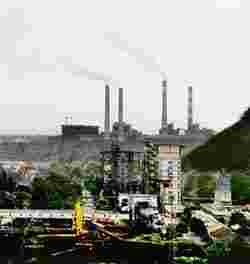 A senior JSPL executive, who didn’t want to be named, said: “We have not made any such request to the PFC. It will, anyway, take some time for the financial closure of the project to take place, once the project is awarded. We believe the financial situation will improve by that time." Questions emailed to Essar Power, Reliance Power, Tata Power and Sterlite Industries also remained unanswered. The Indian power sector is already facing a Rs4.51 trillion funding shortfall for its target of adding 78,577MW of capacity by 2012, requiring at current estimates some Rs10.31 trillion in investments. The coluntry has a power generation capacity of 145,000MW. The Tilaiya project was to be earlier awarded by 23 June. The last date for RFP bid submission is 4 November. The government had stated its intent to award the project by December this year. The earlier RFP deadline was 23 March. First Global Securities Ltd, in a report titled Power Utilities: Food for Thought, released on Tuesday, said the current scenario of rising input prices and higher interest rates raises a huge question mark over the profitability of so-called ultra mega power projects, or UMPPs, which, coupled with the existing financial and execution risks, makes the projects now appear less attractive. The Jharkhand project has faced hurdles due to law and order problems associated with left-wing extremism. With the Congress party-led United Progressive Alliance government running out of time on using UMPPs to rapidly add to the country’s power generation capacity, the power ministry is scrambling to try and get the projects off the block. In a related development, Anil Razdan, Union power secretary, said the government is unlikely to reduce the capacity of UMPPs from the present 4,000MW to 2,000MW as suggested by the Asian Development Bank. The bank had said that it would be able to lend financial support to such projects if their capacity is reduced.